Ignacio De La Fuente, the longest serving member of the Oakland City Council, may give up his seat for a spot in Governor-elect Jerry Brown’s administration in Sacramento, several knowledgeable sources say. De La Fuente and Brown are good friends and were close allies when Brown was mayor of Oakland from 1998 to 2006. If De La Fuente were to leave, then the city would hold a special election within 120 days to fill his seat. He represents Oakland’s Fruitvale and Glenview districts. De La Fuente declined to comment on reports that he is considering a job with Brown. But his departure would not come as a surprise to City Hall insiders. Brown often turned to De La Fuente to push through his initiatives in Oakland. At the time, De La Fuente was council president and he held considerable sway over city government. But De La Fuente’s influence in City Hall has diminished since Brown left to become attorney general. De La Fuente also was a strong backer of Don Perata’s campaign for mayor, and he and Mayor-elect Jean Quan have never been close. Rumors have been swirling around City Hall for days as to who would run to replace De La Fuente. Fruitvale businessman Mario Juarez, who ran against De La Fuente for council in 2008, is expected to run, as is Oakland school board member Noel Gallo, who represents the same district as De La Fuente. Gallo has expressed interest over the years in running for De La Fuente’s seat if he were ever to leave. De La Fuente’s former aide, Carlos Plazola, an Oakland lobbyist, is expected by some to mount a challenge, but one knowledgeable source says that Plazola may not be interested. De La Fuente’s current aide, Claudia Burgos, a policy analyst, also is rumored to be considering a run if her boss goes to Sacramento. Former De La Fuente aide Libby Schaaf was elected to the council last month to replace Quan. 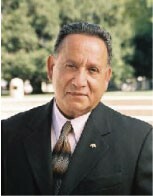 De La Fuente has served on the council for eighteen years — since 1992. The next longest serving members are Jane Brunner, Larry Reid, and Nancy Nadel, who were all first elected to the council in 1996.